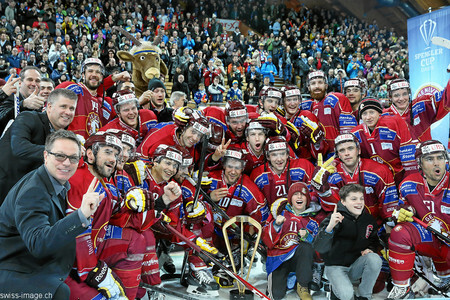 HC Gèneve-Servette has managed to defend its Spengler-Cup title in the last day of the year 2014. Thus, the team coached by Chris McSorley won all the games in the tournament and managed to repeat its success of the previous year. 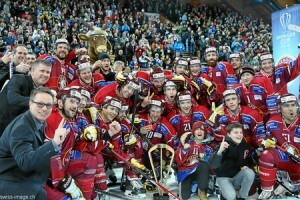 HC Gèneve-Servette defeated the co-finalists, HC Salavat Yalaev (Ufa, Russia) twice. They did so in the first (3:2) and in the last games (0:3) of the tournament. The final game undoubtedly brought together the best teams of the tournament. On the way to the cup game Salavat Yulayev defeated its KHL colleagues HC Medvescak Zagreb (3:0) and Jokerit Helsinki (3:4) as well as the hosts ‒ HC Davos (3:4). In comparison, the other finalist, HC Gèneve-Servette, either declassed much more serious rivals on its way to the finals or did it more persuasively. So, HC Gèneve-Servette won against the co-finalist themselves, and then defeated Jokerit Helsinki (3:1), and the semifinalists of Team Canada (6:5). In the first period of the game no team could score a goal. However, Servette was more active starting since the first seconds of the game. All in all, the first period only saw an exchange of a few attacks and counterattacks by both teams. In the second period the team from Geneva made proper use of its power-play. Two goals were scored while having more players on the ice. The first one was scored by Arnaud Jacquemet assisted by Romain Loeffel at the very beginning of the second period. Closer to the end of the period, at minute 35, Daniel Rubin started an attacking effort on goal of Salavat Yulaev and then managed to place himself unattended close to the net of the opponents. Meanwhile Loeffler attracted all the attention of the defending team while fighting for a puck, saw Rubin, and passed right on his stick. The second goal followed immediately, into the empty net. The third period was the last hope for Salavat Yulaev and their fans on the arena and in their native Ufa. The Russian team, however, was not playing the hockey needed for a victory against the heavily charged Servette. Insufficient defense and offense efforts of Salavat resulted in the third goal in the Russians’ net. Taylor Pyatt successfully finished the combination prepared by his brother Tom and Daniel Rubin – 3:0. This sealed the final score and brought HC Gèneve-Servette the second Spengler Cup in the row. The Spengler Cup winners will undoubtedly get additional motivation for improving their game in the Swiss Nationalliga A. Whereas Salavat Yulaev must not lose any of its motivation for competing in the KHL and getting into Gagarin Cup finals. The team from Ufa can and should learn a valuable lesson from the tour to the Swiss Alps.